There are 74 islands in the Whitsunday Group, sprinkled down the Queensland coast and surrounded by the calm, bright blue waters of the Coral Sea and the wonders of the Great Barrier Reef. Only seven of the islands in the group have accommodation options, ranging from camping on Hook Island to exclusive private island resorts. So don't be put off by the photos of perfect beaches and calm seas, the best places to stay in the Whitsunday Islands come in every price bracket. Most of the Whitsunday Islands are designated national parks (69 of the 74 islands are entirely national park land) - both on and off shore, hence the small number which are inhabited. Hamilton is the most developed, and has its own airport, post office and bank, though most of the island is still free from development and there are some wonderful walking tracks criss crossing it. 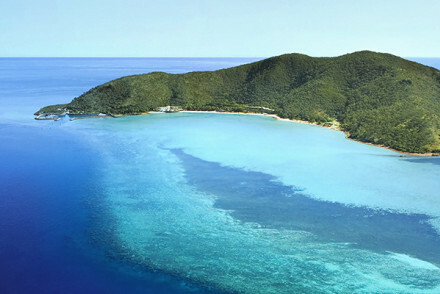 Arlie Beach on the mainland is the gateway to the islands and the holiday town. Whitsunday Island is home to Whitehaven Beach, famed for its pristine white silica sand, and some of the world's most perfect beaches. As well as the 7kms of Whitehaven, the island has numerous little coves, perfect for parking up your private yacht or charter boat. Hook Island is mostly national park too, and is known for its wonderful snorkeling terrain. You might also have heart of Heart Reef, a famous heart shaped reef off one of the outlying islands. And there's Laguna and Proserpine on the mainland, Laguna for golf and Proserpine for fishing. Those are just the headlines, though, everywhere you go you'll find tropical island lagoons packed with fish for watching or catching and marine life of all kinds, including around 400 different types of coral. 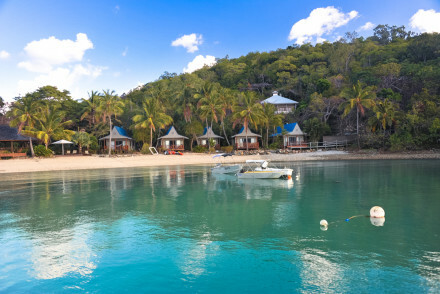 The best places to stay in the Whitsunday Islands are busy year round, so if you want to book one of these, plan well ahead! 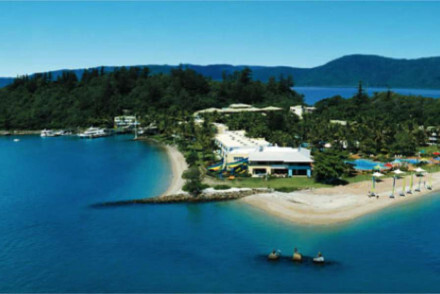 An oldie but a goody, the Daydream Island Resort and Spa is a large resort known for family relaxation. There's a choice of spas, pools and restaurants and plenty of opportunities to explore the reef or just relax on the beautiful, white, sandy beaches. 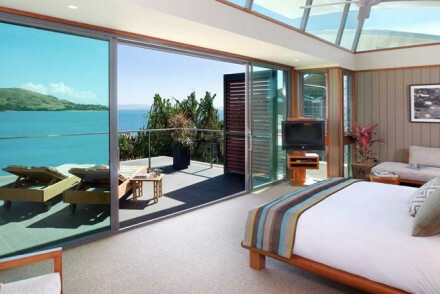 The Hamilton Island Yacht Club Villas are a collection of luxurious, self contained villas, each with four ensuite bedrooms and kitchen and laundry facilities and all opening out onto the beach with views of the Whitsundays. 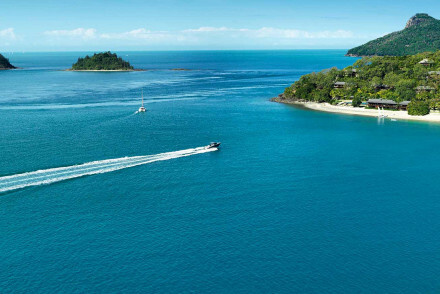 You're also close to the Hamilton Island Marina. If you'd prefer your own space, then visit our online partner Booking.com for a variety of properties throughout the islands. Fly to Brisbane Airport, the major international airport for the region located about 1100km (680 miles) from the Islands. Visitors are then able to take a domestic connecting flight to the Whitsundays. Catch a train to the Whitsunday Islands with rail routes including Brisbane and Cairns. Best time to visit - whilst the Whitsunday Islands really are a year-round destination, April to June can provide visitors some of the nicest weather for an escape to paradise. Expand your search to include our suggestions in Queensland or Cairns.